I am so very excited about what I have to share with you today. I got lucky enough to get the opportunity to participate in the phenomenon known at the Modern Instabee. 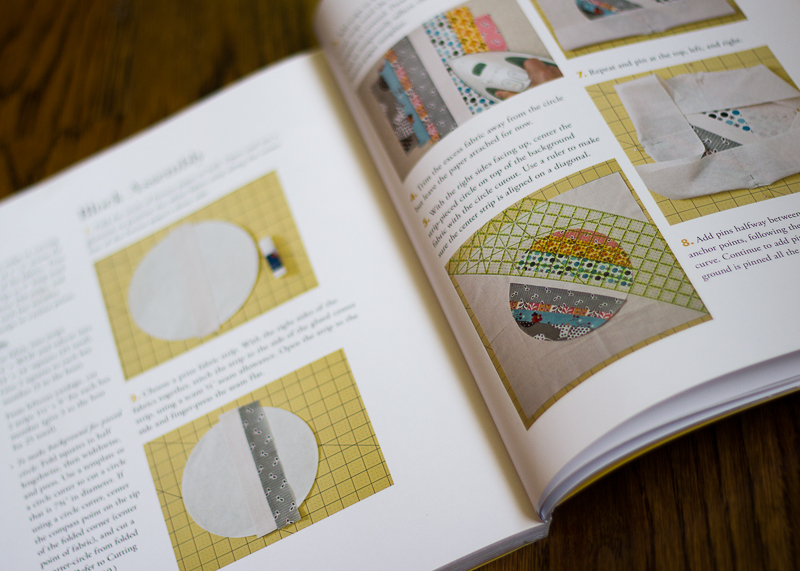 A quilter (Lisa- @brazenlisa) had bought a copy of the new book Modern Bee and had the idea to create an Instagram version of a modern quilting bee using this book as a template. When she asked for participants, 120 people signed up to be part of this bee. Groups of 12 people were matched up, and I got into the last group-Hive 10 (just barely squeaked in before the pool closed!). Each member is assigned a different month to be the “queen bee” and during that month she picks a block from the book and everyone has to follow her fabric/color specifications, make the block, and then mail it to her by the end of the month. February was the first month and my queen bee assigned our group the String Circles block- which was a fun challenge to complete! I assume I am probably going to need to make a sample block for each month just to make sure that the one I send to the queen bee is perfect. My husband gave me the idea to save all those blocks and make another quilt at the end of the year as a fun remembrance of all my quilting bee friends I’ve made. I loved that idea! 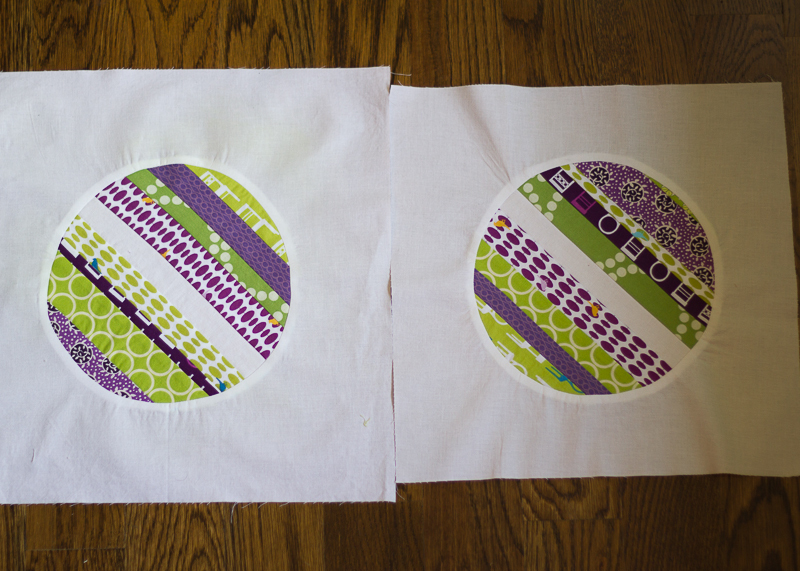 You can see my sample block below on the left. I love the group of ladies that I am joined with and am so excited to see what happens over the course of the year. I also love that this bee is an IG users-only bee. IG is my favorite social media (I’m a bit addicted) and I just really love everything about it. It has opened up my realm of sewing friends so much and given me a real sense of friendship with people I (for the most part) only know online. One of the members of our hive (Renae- @rlchandmade) designed this super-cool logo for us using the Rhonna Design app and another very nice member (Lisa) is machine embroidering it onto fabric for us all to include in our quilts. Seriously, y’all, I’ve got the best group 🙂 . 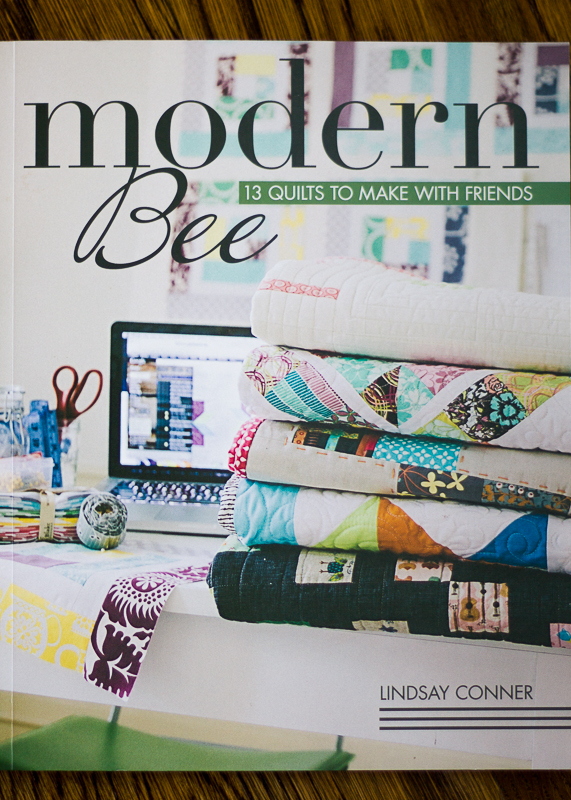 This entry was posted in Quilts and tagged modern bee, modern bee book, modern instabee, modern instabee 2014, online quilting bee, quilting bee, stash books by oliver's fancy. Bookmark the permalink. 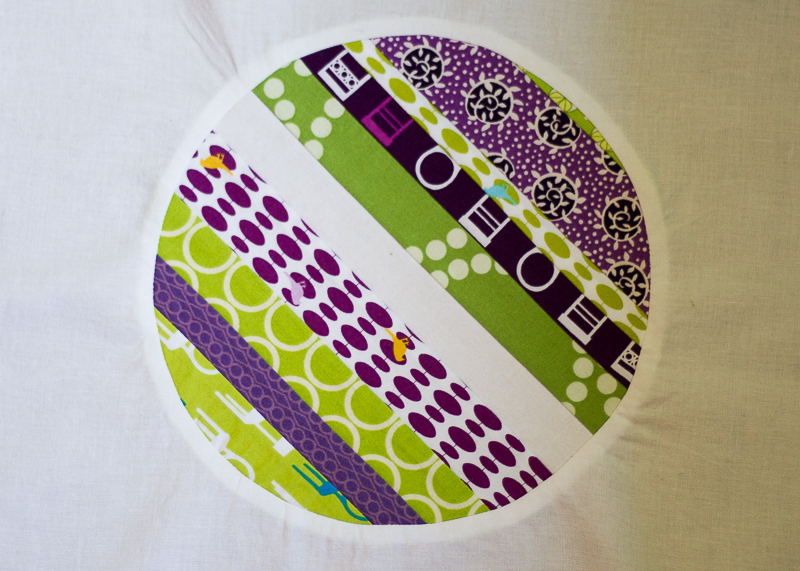 Very cute block, perfect circle. I was wondering if you had your Bernina back yet? How long did the servicing take and do you think that they did a good job? Thanks- I struggled on the first circle but with the second one took my time and am much happier w it. I actually got my bernina back the same day! Dropped it off in the morning and picked it up at night. But it’s because I picked a day when they didn’t have any others in line and all it needed was a tune-up. I wasn’t noticing any problems with it before I took it in so I don’t see a huge difference with it now but it is nice and clean.